Alderperson Rebecca Kemble recently hosted WORT’s A Public Affair show with a panel of guests discussing the power of worker cooperatives. Rebecca has been a cab driver at Union Cab Cooperative for nineteen years and is a fierce promoter of worker co-ops here in Madison, across the country, and abroad, including in her former role as President of the U.S. Federation of Worker Cooperatives. She now sits on the Common Council and advocates for the City’s initiative to form worker co-ops that address income inequalities and racial disparities, the Madison Cooperative Development Coalition (MCDC). She was joined by Ruth Rohlich of the City’s Office of Business Resources, who oversees that initiative, and Charity Schmidt, Cooperative Developer with MCDC and the UW Center for Cooperatives. 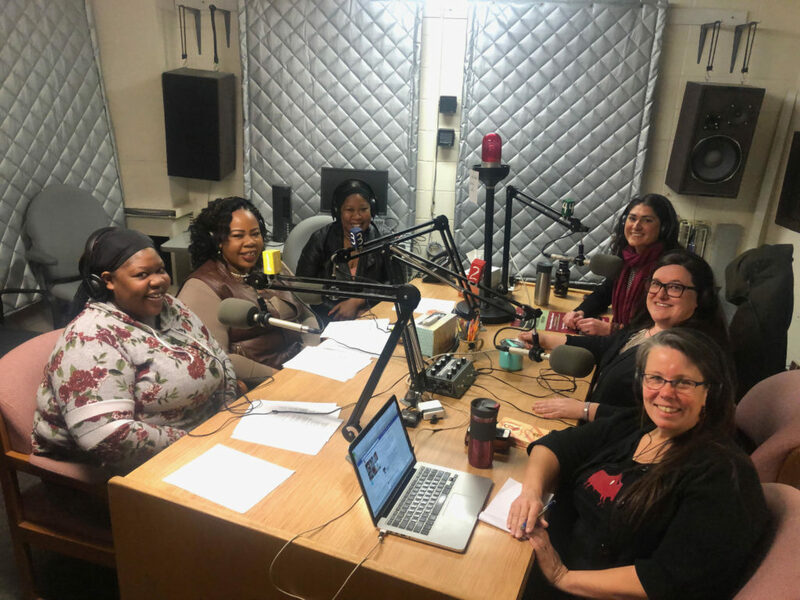 Rebecca was also joined by Georgia Allen, Josezette Bridges, and Geraldine Perry of the newly incorporated home-care agency, Soaring Independent Cooperative. Additionally, Mariela Quesada Centeno of Centro Hispano called in to talk about the Roots 4 Change Cooperative, a co-op of community wellness workers. They shared their inspiring experiences building worker co-ops that serve the needs of their communities and put ownership, control, and decision-making into the hands of workers. Listen here to hear how worker ownership can improve the working lives of these women and their coworkers. They were joined at the end by Ed Whitfield, who works to help communities build self-reliant economies to meet their needs and elevate their quality of life. Ed is co-founder and co-managing director of the Fund for Democratic Communities (F4DC). He serves on the board of The Working World (TWW) and the New Economy Coalition (NEC) and chairs the board of Southern Reparations Loan Fund (SRLF). While Ed was in Madison, hosted by the Havens Wright Center for Social Justice, MCDC, and MadWorC, he dropped by the WORT studio to talk with A Public Affair host Allen Ruff. He stressed the importance of an alternative freedom narrative and provided informative insights from the co-op movement and the world of democratic non-extractive finance. The full interview is here.